Well, Shiver-Me-Timbers! It’s the Octonauts! My boys love the Octonauts. They love the tv show, the characters and the books. But they love playing Octonauts above all. 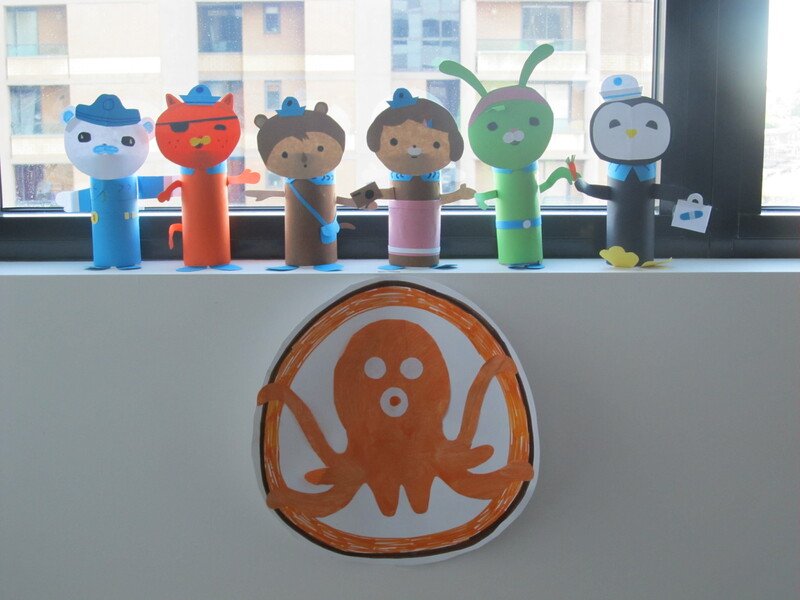 That is why I created toilet paper tube Octonauts for my sons. I made these before all the books, figures and other toys came out so they were novel at the time. Now you can get the real thing at the store. But if you are feeling crafty and want to try something at home. Give these a try…. a lot of time and patience! I did this mostly by looking at images on the computer, drawing them on paper then cutting and gluing them on the toilet paper tubes. I have no patterns to share, just the idea! I am just throwing this in at the last minute since I just made this cake for my son yesterday. He loves Kwazi most of all so I made this for him. 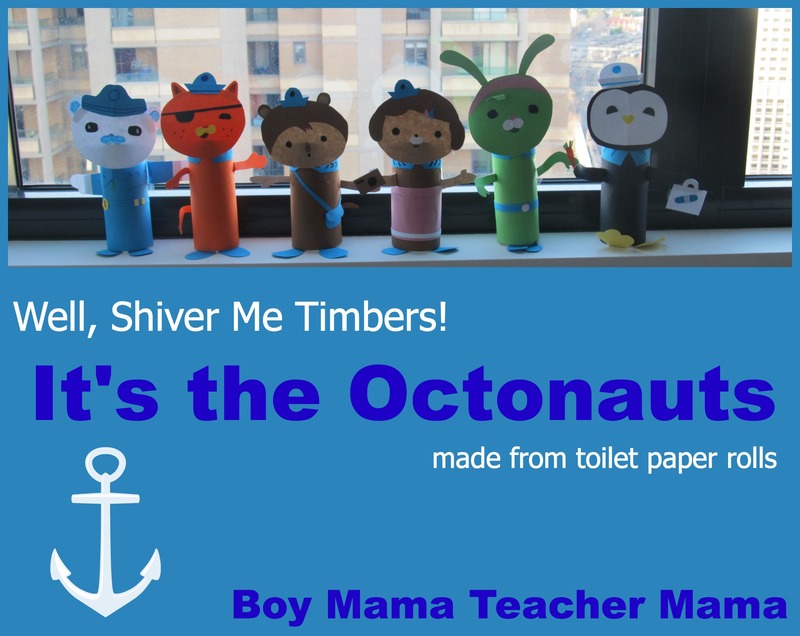 Looking for other Octonauts ideas from BMTM? Make Your Own Treasure Chest- Octonauts Style! Where do I find the instructions to make the cake? I don’t have directions for the cake published. I simply baked a rectangular cake. 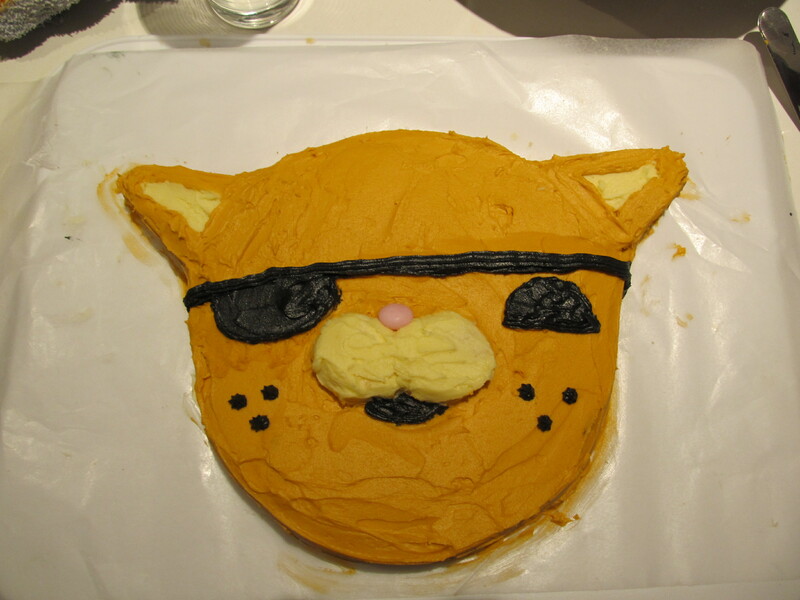 I then printed out a picture of Kwaazi from the internet and traced it onto the cake. Hope that helps! Cute! My daughter also loves octonauts. She even says to me ‘ Aye aye captain mommy!’,haha. 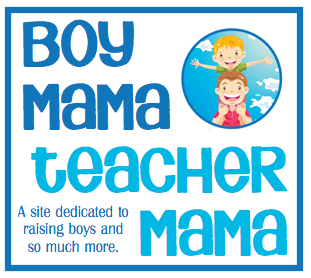 Stopping by from the We Made That linky party! WOW those came out great! 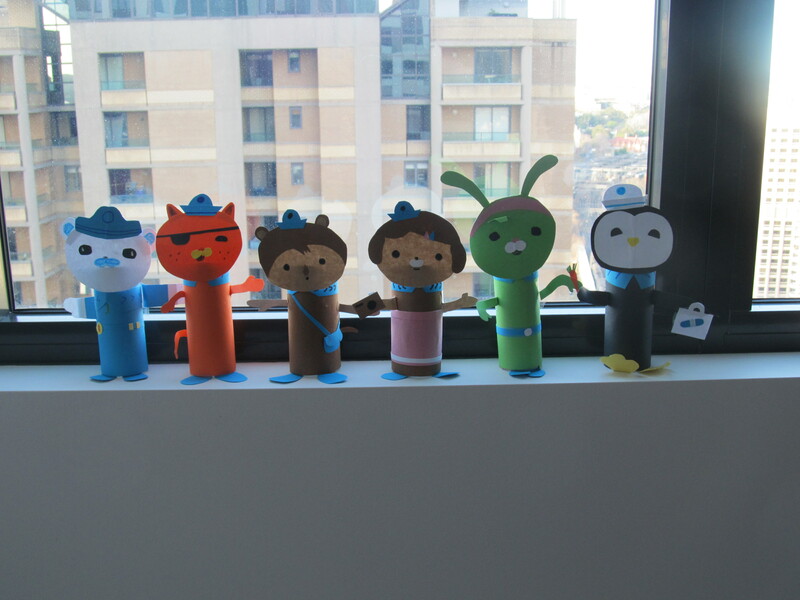 My daughter love the octonauts too, and would just love these! Thank you! I will link up! They are adorable! How creative are you? And don’t even get me started on that cake! So cool!